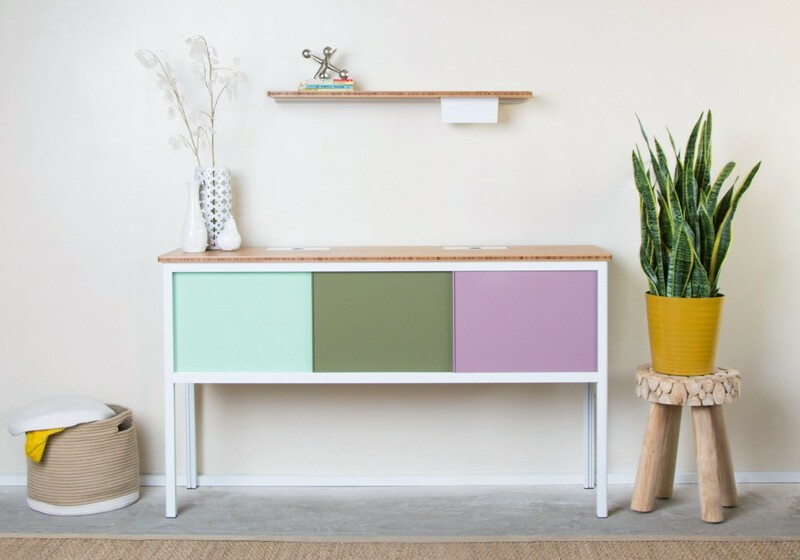 Give plants or a treasured collectable a stylish boot with this midcentury-inspired shelf that is sure to add charm to any room. 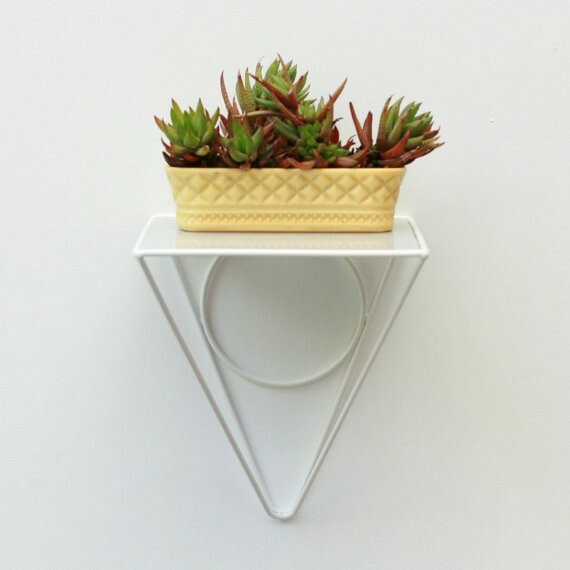 White mid-century inspired metal wire & perspex shelf, $66.45. Visit WirelyHome on Etsy. 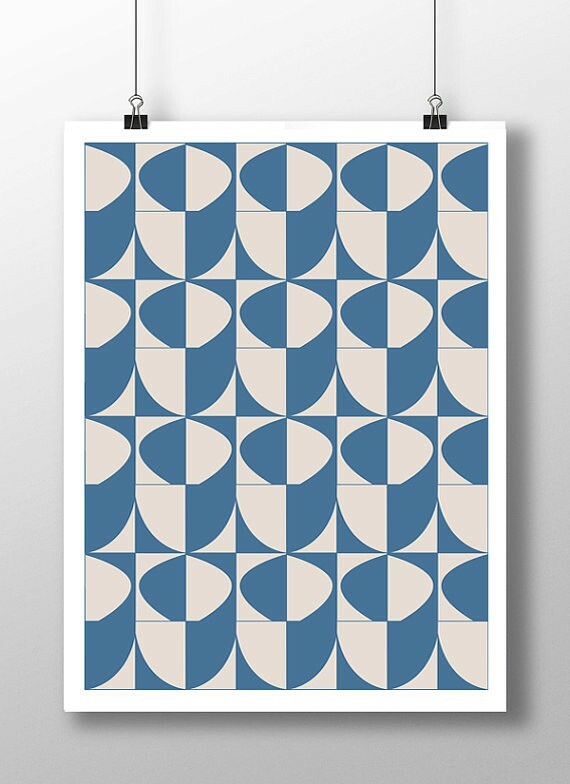 Whether framed or unframed, this blue and cream colored poster is a piece of wall art that will instantly brighten up your walls. Digital Download: Modern Century Art, $5.50. Visit 9HouseDesign on Etsy. 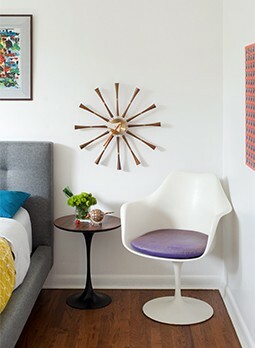 A round mirror can create a classy and unexpected effect in your living room. 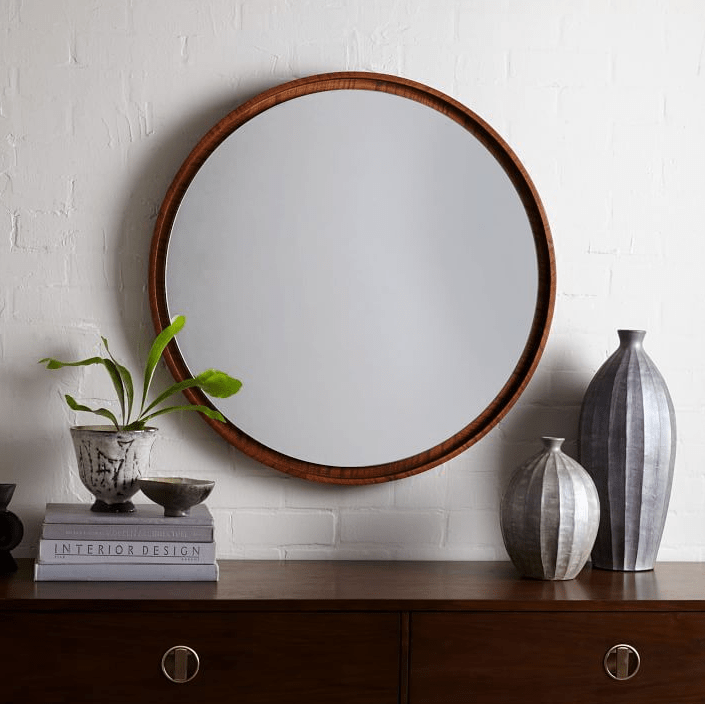 Floating Round Wood Mirror – Acorn, $249. Visit West Elm. Tell time in style with this futuristic clock. 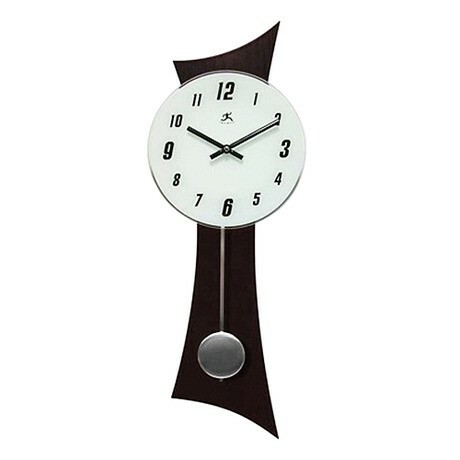 The curved base and top and the retro font give this clock a cool modern feel. Clock of the Future, $73. Visit Dot & Bo. 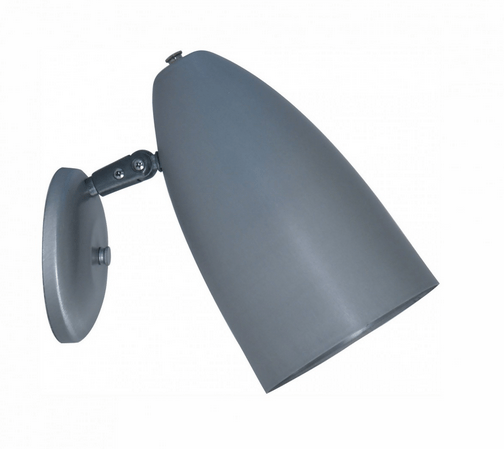 This simple, curved light comes in a variety of colors and would look great in the living room or as a lamp in an office. Single Bullet Sconce, $82. Visit Hip Haven. Who says wall art is only for interiors? Add the perfect finishing touch to the outside of your modern home with this colorful number plate. 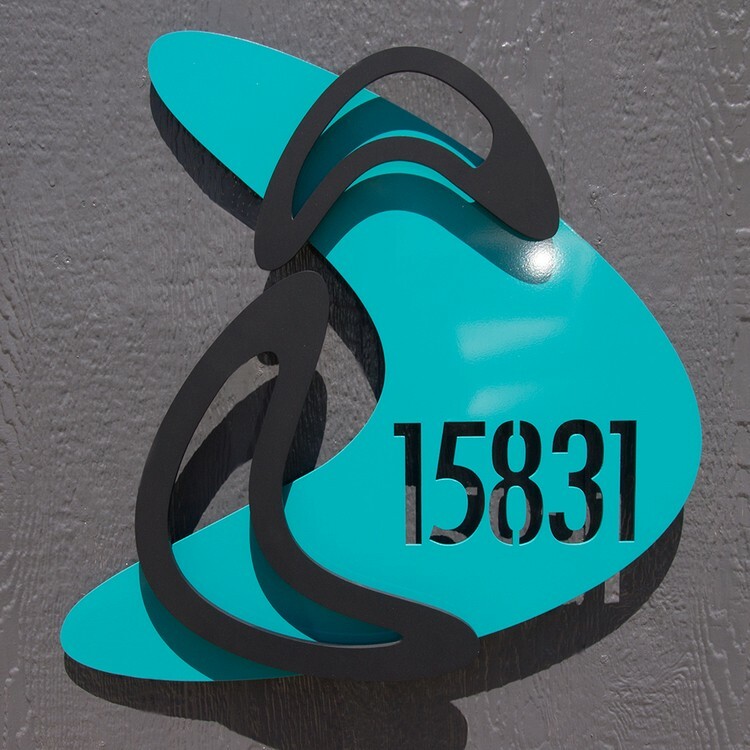 Boomerang Layered Custom House Numbers in Powder Coated Aluminum, $219. Visit moda industria. 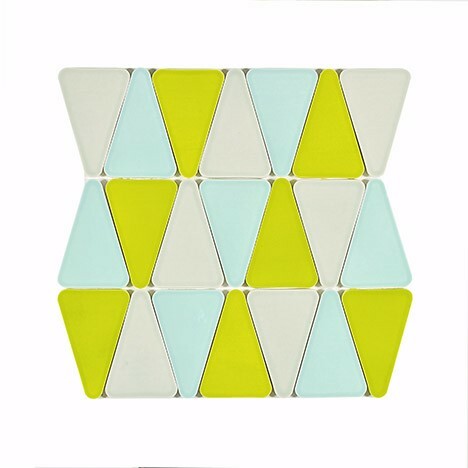 These rounded, triangular tiles come in a variety of colors and have several different applications. They would look great if used as a backsplash or around the edges of a table. 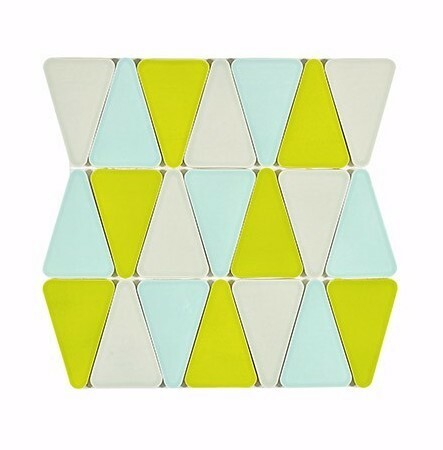 Kiln Ceramic Wedge Tile, $46.95. Visit ModWalls. Add a touch of life to your walls with this gorgeous primary colored wallpaper. 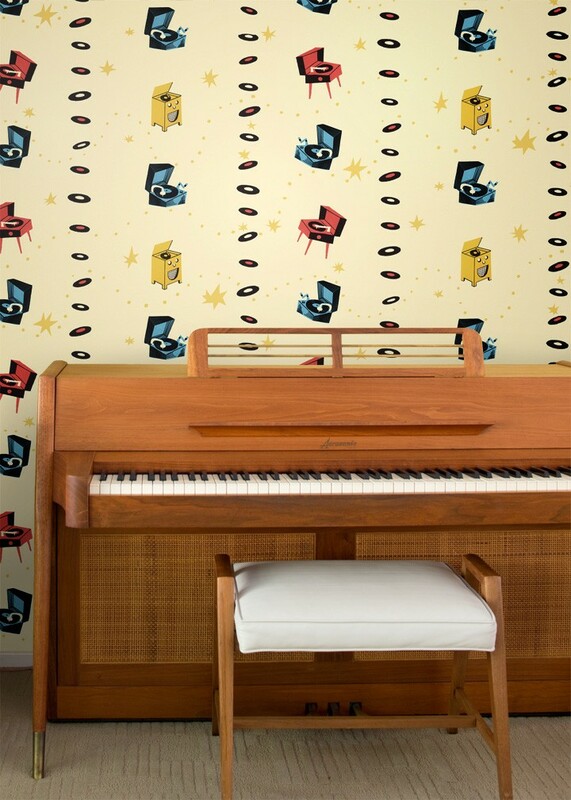 Jumpin’ Jive, Tri-Color Wallpaper, $84. Visit designyourwall.com. 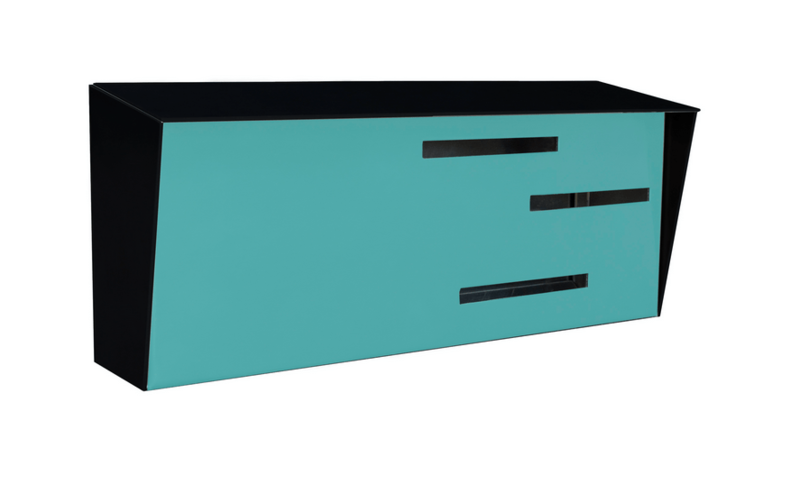 No need for a plain, typical mailbox when you can go bold and modern instead. Mid Century Modern Mailbox – Two-Tone Black, $250. Visit Modern Mailbox. Light and minimal, this simple wood shelf can display your favorite pieces without overwhelming your decor with clunky supports. Cache-36 shelf, $200. Visit Modify Furniture.